I am very happy to say the necklace is finished! 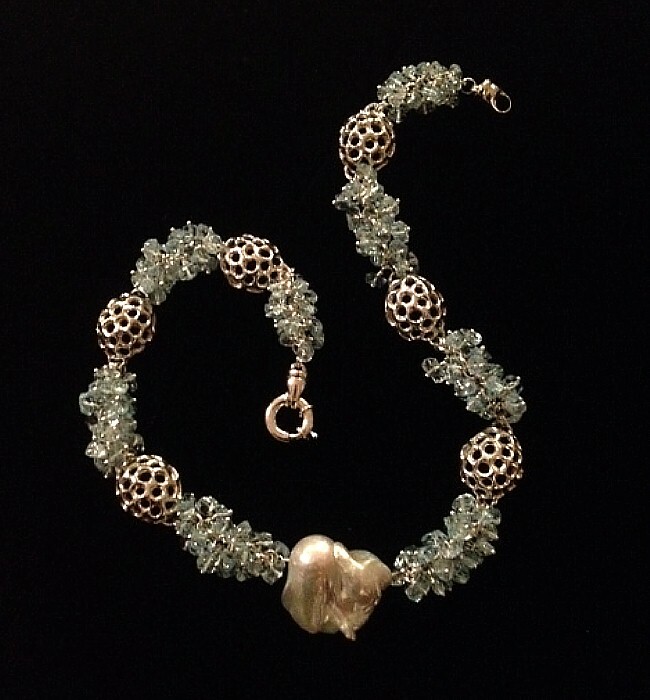 I named it “Sheer Ice.” All the aquamarine nuggets clustered together look like clear blue ice. As part of the recipe I want to include 4 things. 1. If you plan on working with any type of wire, safety glasses are a must. Many a time when you use your wire cutter the piece you cut goes air born. Magnifier glasses do two things. They protect your eyes when cutting and you can see so much better no matter how great your vision is. Any drugstore sells these. I brought a piece of wire with me to pick the right magnification just for me. 2. I use a velvet board for my work. It protects the beads. These boards are actually used as inserts for jewelry trays. 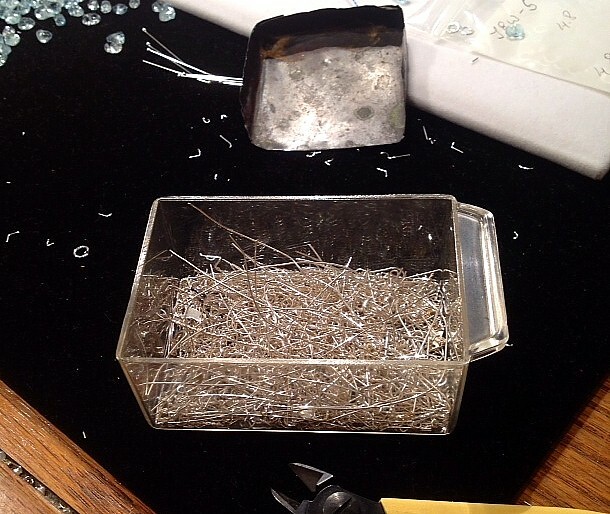 If you plan on working with gold filled, sterling silver or gold, save your scraps in separate containers. I keep these small containers on my work bench. Bring them into a scrap dealer for money. 4. Small shovel makes it easier to push scraps together as shown in this last photo.